How Then, Do We Intrepret the Bible? 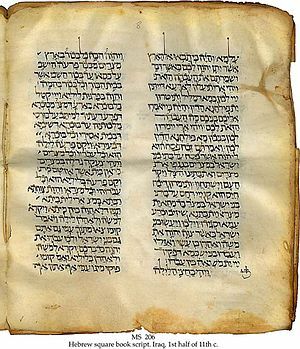 The Old Testament in Hebrew (which was the native language of the people of God of old), and the New Testament in Greek (which, at the time of the writing of it, was most generally known to the nations), being immediately inspired by God, and, by His singular care and providence, kept pure in all ages, are therefore authentical (Matt. 5:18); so as, in all controversies of religion, the Church is finally to appeal unto them (Isa. 8:20; Acts 15:15; John 5:39, 46). But, because these original tongues are not known to all the people of God, who have right unto, and interest in the Scriptures, and are commanded, in the fear of God, to read and search them (John 5:39), therefore they are to be translated into the vulgar language of every nation unto which they come (1 Cor. 14:6, 9, 11–12, 24, 27–28), that, the Word of God dwelling plentifully in all, they may worship Him in an acceptable manner (Col. 3:16); and, through patience and comfort of the Scriptures, may have hope (Rom. 15:4). Because the originals are inspired by God, is the very reason why they are the final word on all controversies of religion. While the originals were immediately inspired by God, the text thereafter has been kept pure by the special providential care of God. The word of God is found in the received text, which was representative of the manuscript family containing the overwhelming number of manuscripts. The manuscripts Jerome used to make the Vulgate were established by tradition; those sources were returned to prominence by the reformers and used by Erasmus to make the Greek New Testament that was used by Luther, Tyndale and future Protestants to create the bibles still largely in use. The best modern bibles are the ones still working from this tradition. The divines place the Septuagint (the standard Greek text) in the category of translations. A good translation but a translation. It is interesting to note that it is the version most quoted by Jesus and the Apostles and is canonical in the Greek Church. The scriptures were originally written in the languages which, at the time of writing them, were most generally understood, God has hereby intimated his will, that they should be translated into the vernacular language of different nations, that every one may read and understand them. In religious controversies, where precision is required, appeal must be made to the original languages, but translations are sufficient for all ordinary purposes. The laity is commended not only for searching the scriptures, but for trying the doctrines of their public teacher by them. The original is “authentical.” This means the Hebrew of the Old Testament and the Greek of the New Testament. This creates an interesting confessional issue—what of those small portions of the Old Testament which were written in Aramaic? It is common for people to take a trivial exception to the Confession at this point, but I don’t think this is necessary. The New Testament calls Aramaic Hebrew in much the same way that we could call Canterbury Tales English. These authentical writings were kept pure in all ages, which means that the WCF stands squarely against modern searches for the “original and historical text.” This means that it is unconfessional to believe that the original text of Scripture was lost in the early centuries and then recovered over a millennium and a half later, as virtually all modern text criticism affirms. Not to put too fine a point on it, to follow modern textual criticism is to disagree with this portion of the WCF. There are two approaches to textual work. One expresses confidence that God has protected His word down through history. This is a faith position – faith in God. The other presupposition says that it is up to man, through neutral, scholarly and scientific means, to determine what the original text of the bible was. This also is a faith position, but faith in man. If the manuscripts we have are not authoritative because, out there somewhere is the originals, the manuscripts we have can be fudged and altered all we like – they are not authentical. This is dangerous and is bearing the kind of fruit that leads to much error. At the same time, these authentical writings which are the Word of God are to be translated for the people of God into the vulgar tongues of all nations. Scripture in the original has a dual authority, both with regard to the substance—quoad res—and with regard to the words themselves—quoad verba When they are translated, they retain their authority quoad res. But the final authority in controversies is the original. This is distinguished from the authority of ordinary teaching and preaching. According to Westminster, the originals that were the final arbiter were the apographic texts, not the original autographs that nobody has. The apographs were the Word of God in both substance and words. The translations were the Word of God with regard to substance. The modern (and common) statement of faith that the Bible is inerrant in the autographs would have been considered by them as hopelessly irrelevant. What good is an inerrant Bible that nobody has? You might as well affirm the inerrancy of the one copy of the Bible in heaven that Jesus has in His Library. Hebrew and Greek text are to be the basis for settling religious disputes. It is necessary to read 1.7 and 1.8 together. It is a complex and sophisticated statement. It further entails the necessity that the leader of the church to have a knowledge of the original languages. The infallible rule of interpretation of Scripture is the Scripture itself: and therefore, when there is a question about the true and full sense of any Scripture (which is not manifold, but one), it must be searched and known by other places that speak more clearly (2 Pet. 1:20–21; Acts 15:15–16). The best and only infallible rule of interpretation of scripture is the scripture itself. Some things that are briefly and obscurely handled in one place, are more fully and clearly explained in other places; and, therefore, when we would find out the true sense of scripture, we must compare one passage with another, that they may illustrate one another: and we must never affix a sense to any particular text, but such as is agreeable to the “analogy of faith,” or the general scheme of divine truth. The compilers of the Confession affirm, that the sense of Scripture is not manifold, but one. No doubt, many passages of Scripture have one thing that is typical of another. Yet these only make up that one and entire sense intended by the Holy Ghost. An obscure text is to be interpreted by plain texts, and not the other way around. The expositor should search for the one meaning of the text in question. The appeal here is to the true and full sense. 4. the anagogical or ultimate eschatological meaning. The rejection of this system of interpretation does not necessitate a rejection of these various kinds of meanings in various parts of the Bible; it is a rejection of this as an a priori system in approaching any given text. This approach is not a rejection of allegory, or typology, which may be the sense of a particular place. It is a rejection of the allegorical method, which assumed all texts had the same four sedimentary layers of meaning. This part of the confession does not exclude complex meanings, or require that every meaning be simple. 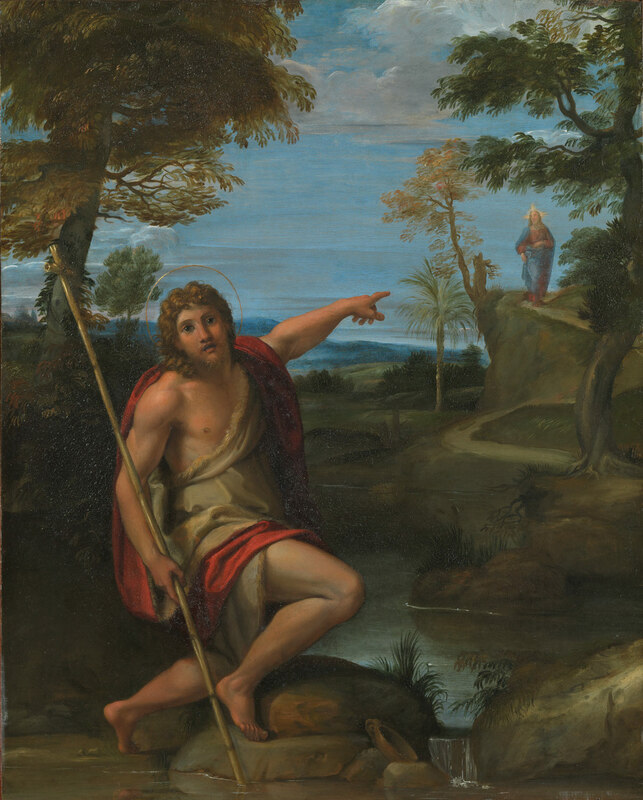 The supreme judge by which all controversies of religion are to be determined, and all decrees of councils, opinions of ancient writers, doctrines of men, and private spirits, are to be examined, and in whose sentence we are to rest, can be no other but the Holy Spirit speaking in the Scripture (Matt. 22:29, 31; Eph. 2:20; Acts 28:25). Notice that the supreme judge is the person of God, the Holy Spirit, speaking in Scripture, not occasionally and in some of his favorite parts, but continuously, throughout. The bible is both the rule that governs and the judge that adjudicates. Since the Holy Spirit speaks in Scripture so completely and continuously, the Word of God is living and dynamic and cannot be categorized as a dead letter. Speaking from the scriptures is not enough, Satan spoke using the scriptures but his words were lies and inconsistent with the Spirit of God and How the Spirit of God would interpret the Word of Scripture. The standard of sola Scriptura sets up Scripture as the supreme judge. This no more destroys lesser spiritual authorities than the existence of the Supreme Court excludes the existence of lower courts. But neither Pope, nor councils, possess the properties requisite to constitute a supreme judge in controversies of religion; for they have often erred, and contradicted one another. Although the church or her ministers are the official guardians of the Scriptures, and although it belongs to them to explain and enforce the doctrines and laws contained in the word of God, yet their authority is only ministerial, and their interpretations and decisions are binding on the conscience only in so far as they accord with the mind of the Spirit in the Scriptures. By this test, the decisions of councils, the opinions of ancient writers, and the doctrines of men at the present time, are to be tried, and by this rule all controversies in religion must be determined. That the scriptures are to be translated into the vulgar language of every nation unto which they come. That the infallible rule of the interpretation of scripture is the scripture itself. That the scriptures are the supreme standard of religious truth and that the supreme judge, by which all controversies in religion are to be determined, is the holy spirit speaking to us in the scriptures.